Ferguson Rotich is on the comeback trail. After a disappointing couple of seasons, he is rising to elite status. 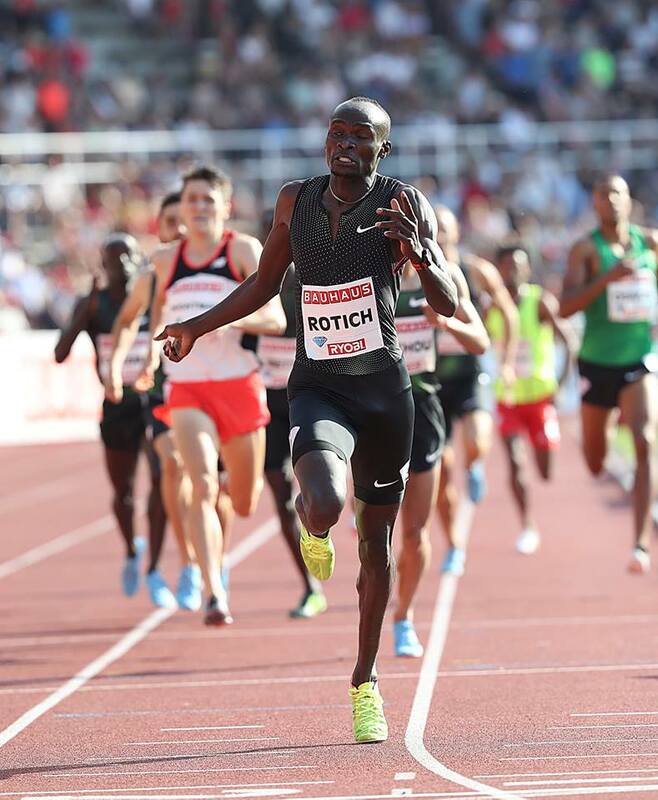 After finishing second at the PreFontaine classic, Rotich won the men’s 1000m at the Bauhaus-Galan Diamond League meet. The men’s 1000m, an event that counts towards the 800m for the Diamond League standings, and Rotich took maximum points. He finished well ahead of the field, taking over in the final 200 metres to win in 2:14.88, well clear of Bahrain’s Sadik Mikhou (2:16.09) and Britain’s Jake Wightman (2:16.27). He was the only Kenyan to win in Stockholm. This entry was posted in Kenya Athletics News, Kenya Sports news and commentary and tagged Diamond League, ferguson rotich. Bookmark the permalink.